The Gare Maritime at Calais which would be destroyed early in the Second World War. 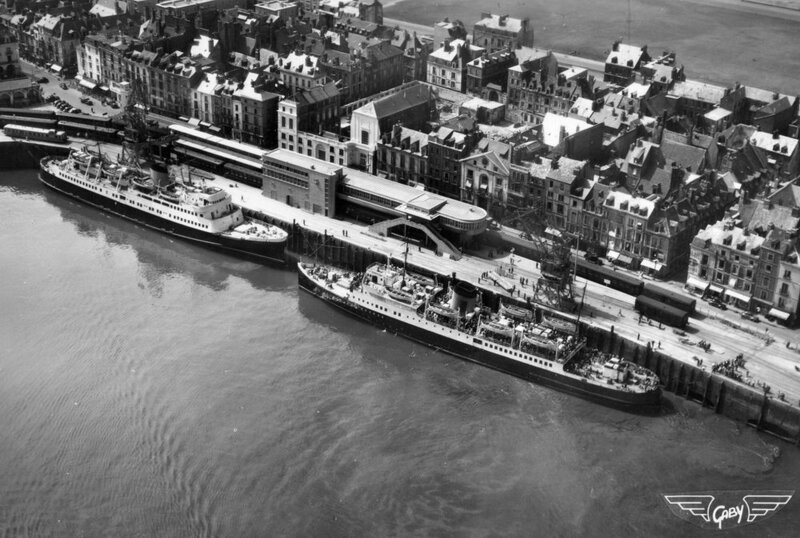 During the Siege of Calais (May 1940), the harbour area became a key defensive position for the embattled British forces and Brigadier Claude Nicholson established his headquarters in this building. 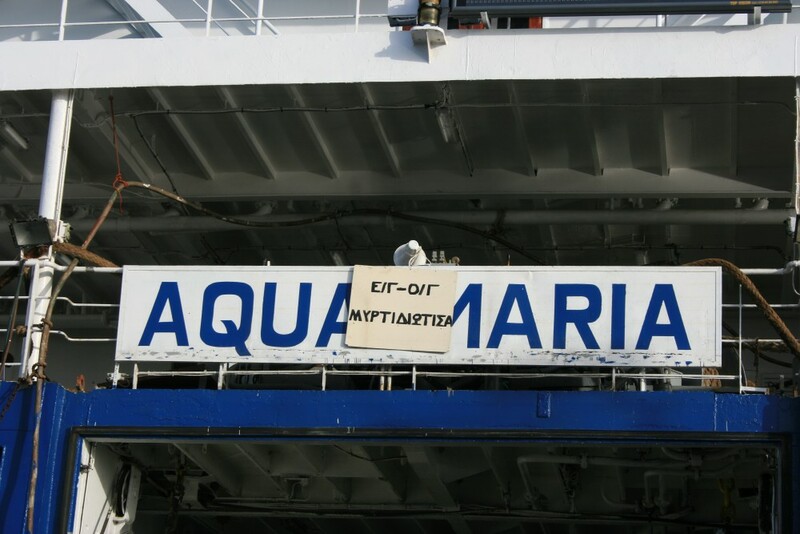 It is nearly 15 years since the final train left Calais Gare Maritime. 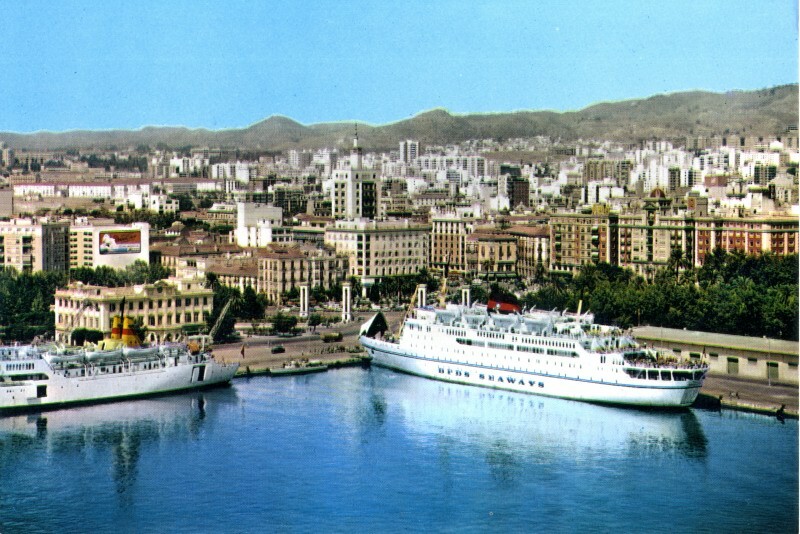 The adjacent quayside was once one of the most important in Europe – a late departure of the Golden Arrow from here might be reported in the London evening newspapers whilst, as railway author George Behrend noted, the railway station used to be “crammed with International Expresses to meet every packetâ€ – nightly departures to Istanbul, Berlin, Rome, Trieste, San Remo, Monte Carlo, Nice and Bucharest; the â€˜Train Bleuâ€™, the â€˜Rome Expressâ€™, part of the â€˜Orient Expressâ€™ and, in earlier years the â€˜Peninsular Expressâ€™ to India via Brindisi, or the â€˜Bombay Expressâ€™ via Marseille. The restaurant at the station before the Second World War was known as one of Europe’s finest eateries, the perfect place to while away the time between arriving off the steamer from Dover and the departure of your Wagon-Lits. Ron Fisher has some splendid images of trains at the station, as well as at Boulogne, in the 1960s to the ’80s. Meanwhile Mike Irlam’s site has an almost Behrend-style narrative of a typical journey on the Golden Arrow in its heyday. 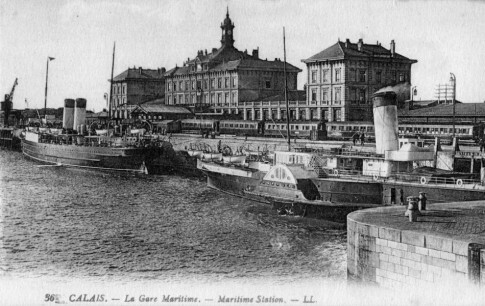 Great times, and the sight today of the post-war Gare Maritime building still standing, but used as little more than a rest point with lavatories and vending machines for truckers and motorists waiting to board the modern cross-channel ferries is really quite heartbreaking, even for those of us for whom hours at the station represented SNCF strikes, delayed trains and missed connections. Down the coast slightly, at Dieppe, the station closed in 1994 when Stena Sealink transferred ferry traffic to the new port on the other side of the harbour. Readers of Continental Modeller should look out for an upcoming piece by David Thomas regarding the railway station, whilst the websites of Roland Arzul and Paul Smith have plenty of information and images. 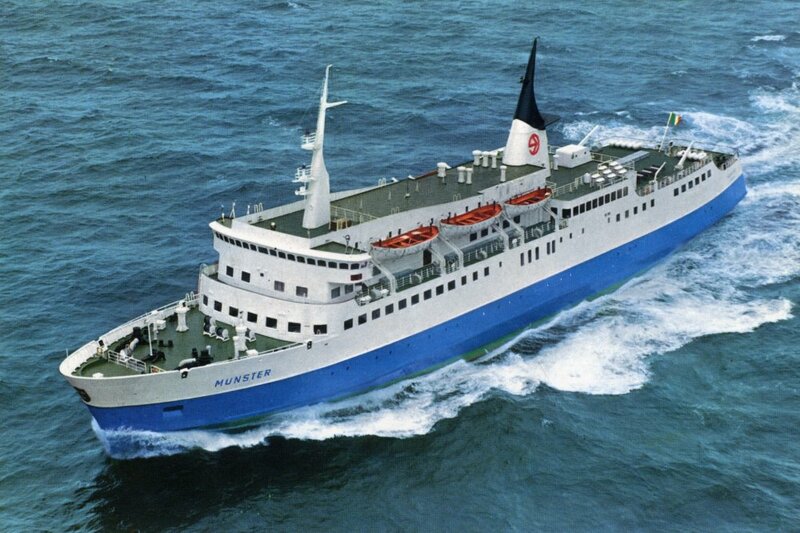 The recent grounding of the Marko Polo brought to mind the not dissimilar case of the Swan Hunter-built Proleterka near Murter in 1969. The Proleterka was scrapped after this experience – let’s hope the story of the former Peter Wessel has a happier ending. The Simplon website has some images of the 1969 accident. 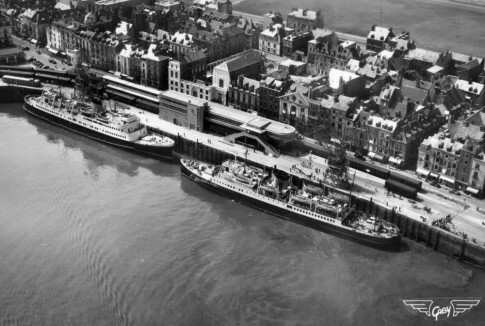 “Something new in ferryboats”, with a “queer method of mounting the propellers” (the new Lymington, 1938) The pay off line of “so chalk another one up to Britain for one more development in transport” was more than dubious given the Voith Schneider technology being employed was most definitely German. A couple of aged former British domestic ferries serving Italy have been scrapped in recent years, and Navi e Armatori has faithfully recorded their final moments. 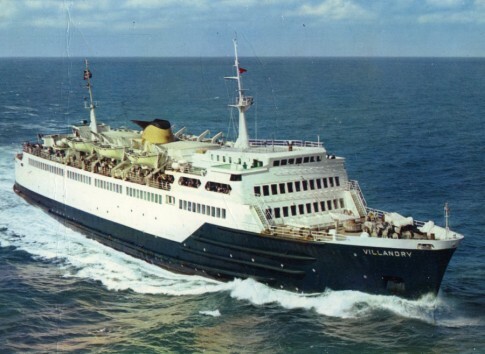 The Carisbrooke Castle of 1959 was scrapped in 2007 having spent the last 33 years in a 48 year career in Italian coastal waters, latterly as the Giglio Espresso II running from La Maddalena to Palau on Sardinia. 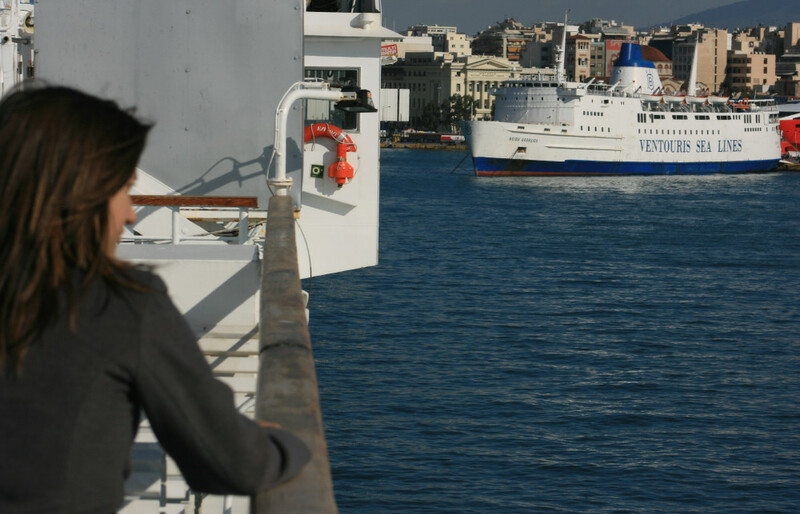 This image shows her on the beach in Aliaga, with fellow former British veteran the Neptunia (ex-Darnia) alongside. 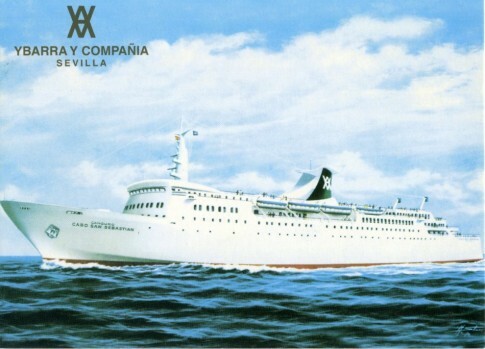 The Canguro Cabo San Sebastian. Another ship which has ended on the beach is the former Donatella D’Abundo, the first of the six-strong ‘Canguro’ class and originally built for Ybarra as the Canguro Cabo San Sebastian before later passing to Trasmed and then Medmar. An image of her can be seen here. 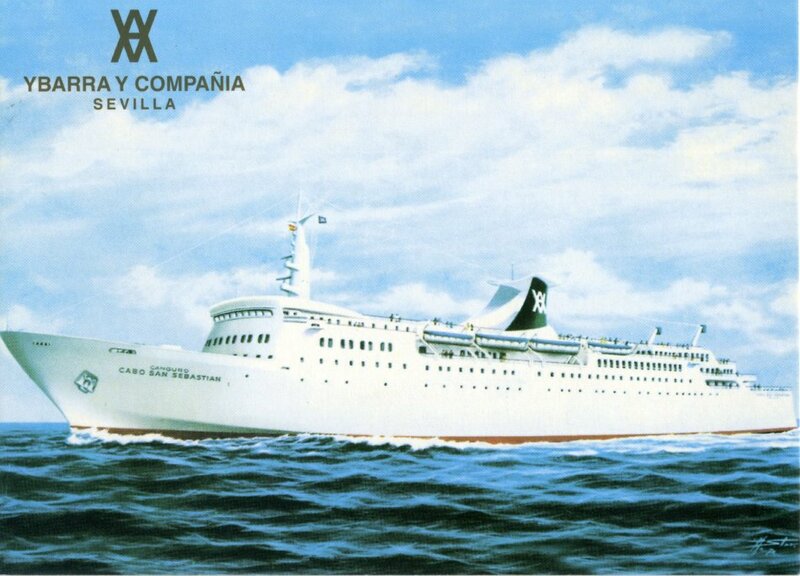 I have often wondered about this series of ships, built at Union Navale de Levante in Valencia between 1972 and 1984, none of which seem to have had really successful post-Spanish careers. Of the sextuplets, two have now been scrapped, one is in Southeast Asia, and the other three in limbo. 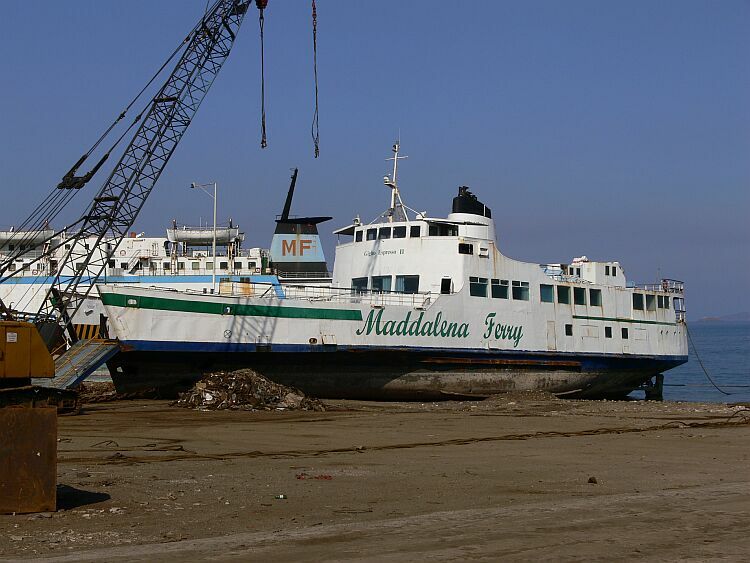 The one vessel actually believed to be in service is the Oriental Princess (ex-Canguro Cabo San Jorge and Ciudad de Palma) but she seems to be in rather poor condition in Vietnamese waters (pictures here and here). 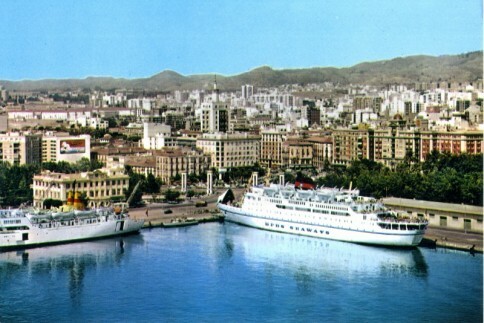 The Ciudad de Sevilla has reportedly sailed to Port Said under the name Sevilla whilst the Mary the Queen (ex-Ciudad de Valencia and the final of the series) had apparently been sold to Filipino interests to replace the former Steam Packet ship of the same name, but remains in Tarragona with the sale possibly having fallen through. 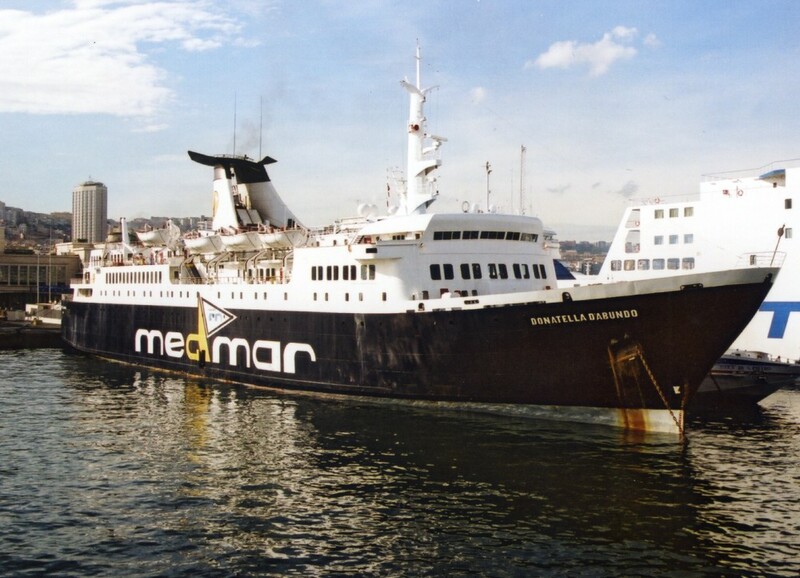 The Donatella D'Abundo at Naples in September 2004. The Dana Corona (ex-Trekroner) at Malaga. Also alongside is Trasmed's Antonio Larazo or Vincente Puchol. 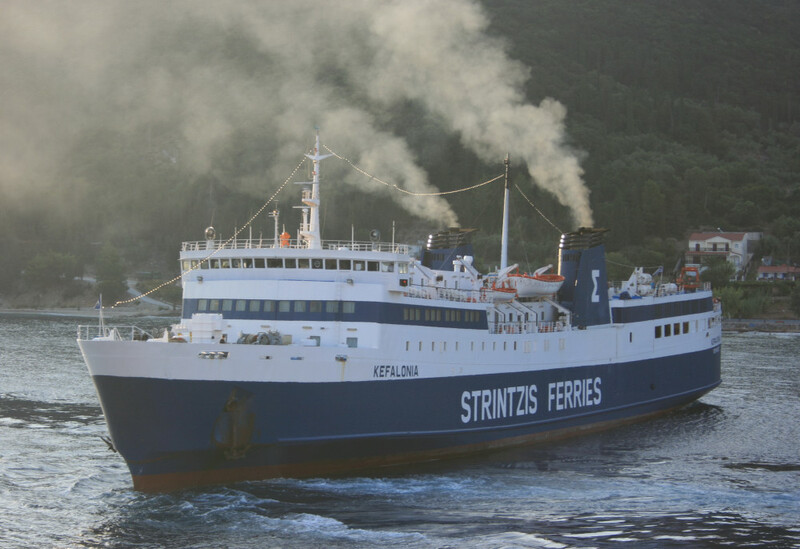 None of the six beautiful DFDS car ferries delivered between 1964 and 1970 have survived, but the first and the last, (the England and the Trekroner) dodged the scrappers by sinking, the former actually being en-route for scrapping at the time. The Trekroner however was in service, sailing to Suez as the Al Qamar Al Saudi Al Misri in 1994 when she was overtaken by a boiler room explosion and subsequent fire. 21 people lost their lives. The wreck today has been found and documented by scuba divers. 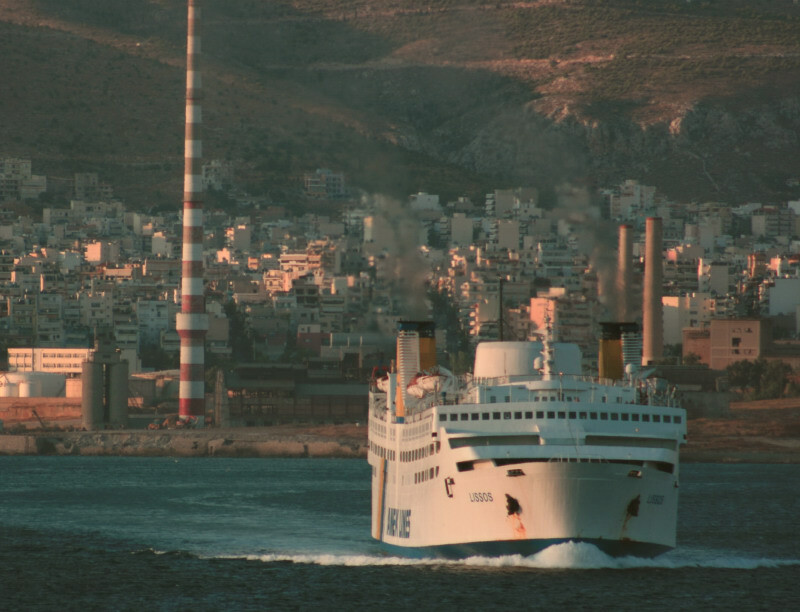 On youtube, there is a “tribute to the Agios Georgios” (ex-Hengist). For a brief period in 1981/82, Thoresen’s Viking Victory (ex-Viking I) and her sister Viking III were laid up together in Gothenburg awaiting sale. 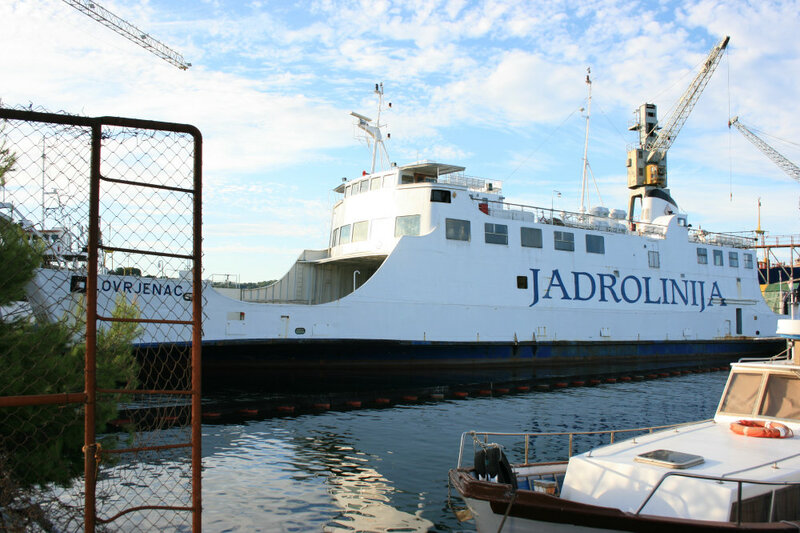 Lennart Ramsvik captured them there, together with several other ferries of the period. 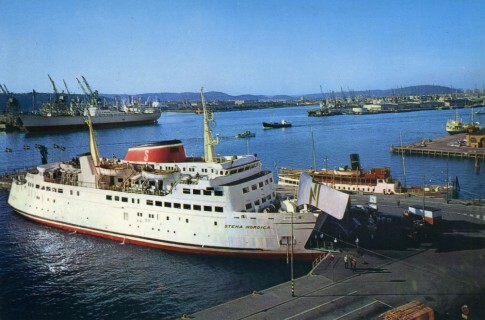 This was a time when it was possible to see three Stena ships together in the company’s home port, none of which had been purpose built. Delivered as the Stena Trailer, the ship which ended her days as the Lampung was better known in her early years as Sealink’s Dalriada on the Stranraer-Larne crossing. Her end came in 2006 when an engine room fire spread through the ship as shown in this unhappy footage. Lastly, readers of the main website to which this blog is attached may have noticed that parts of it have “gone missing” in the last couple of days. There shouldn’t be too many pages affected and all will be resolved when I get chance to re-upload them to the main domain within a couple of weeks. All this however relates to the demise of Geocities, “the Facebook of yesterday“. Geocities gave free access to web publishing for millions in its time, and many of the websites so created were crude, forgettable and aesthetically criminal. But it was also a step on the ladder, and, despite everything, from the hours trying futilely to load the Page Builder software to the horrors of page after page being lost when that same program decided not to save properly, I’ll miss it.